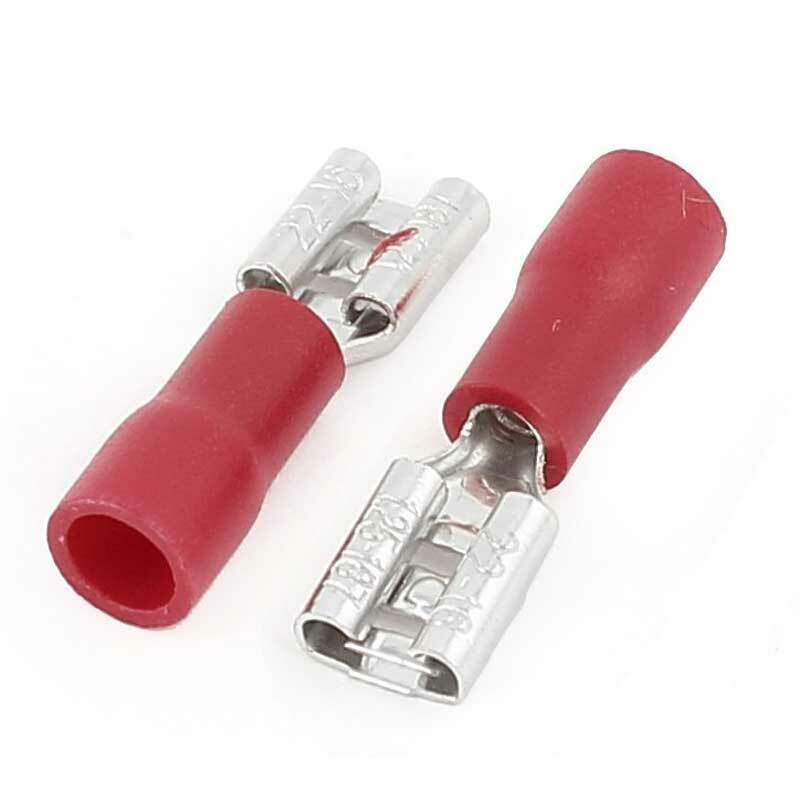 Quick connect crimp terminals offer speed of application and uniform reliability. 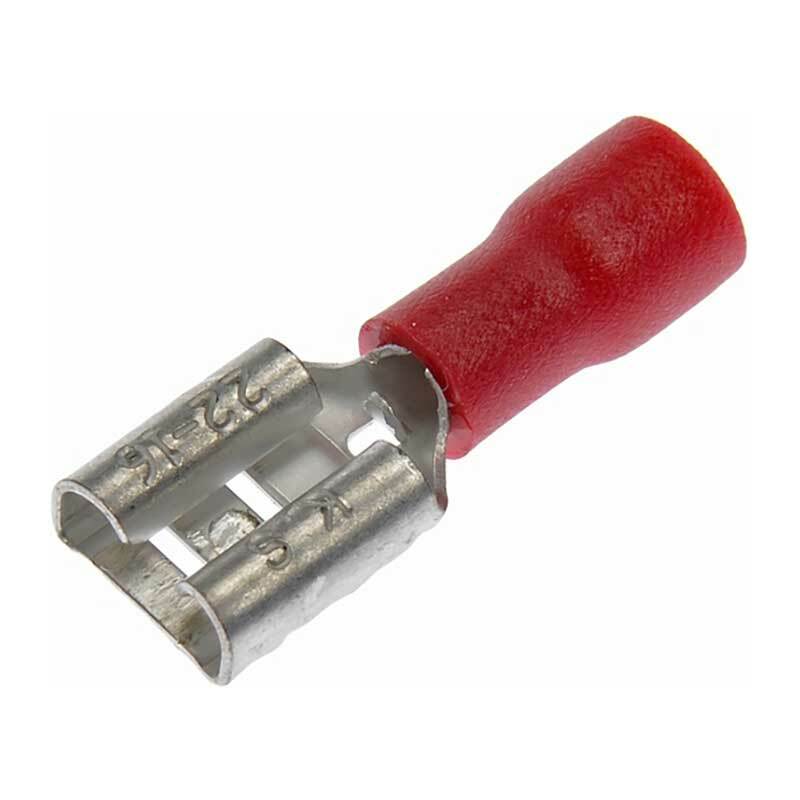 Connectors provide a quick a reliable crimp connection. 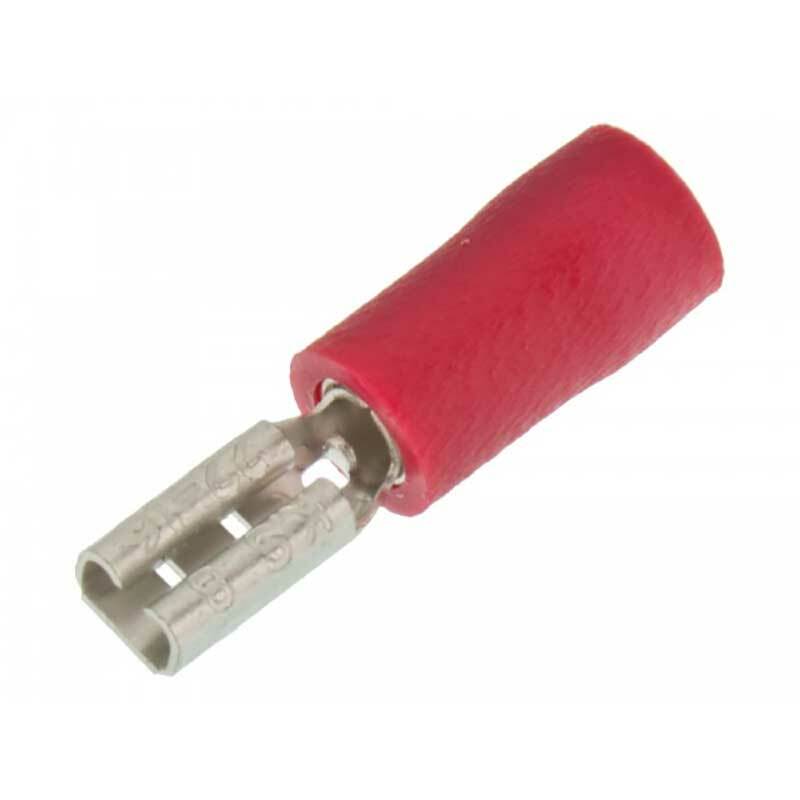 These terminals feature a vinyl insulated barrel to compensate for insulation thickness. Allows for disconnection and reconnection as needed. 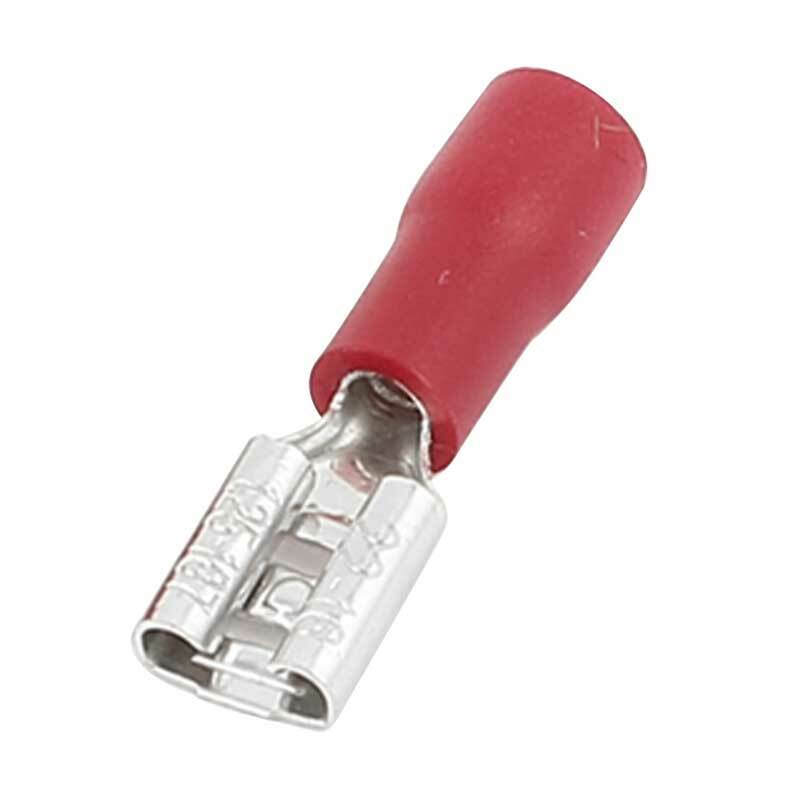 Commonly used in the appliance and automotive industry. Other applications include computer and peripheral equipment, industrial controllers, test equipment and telecommunications equipment. 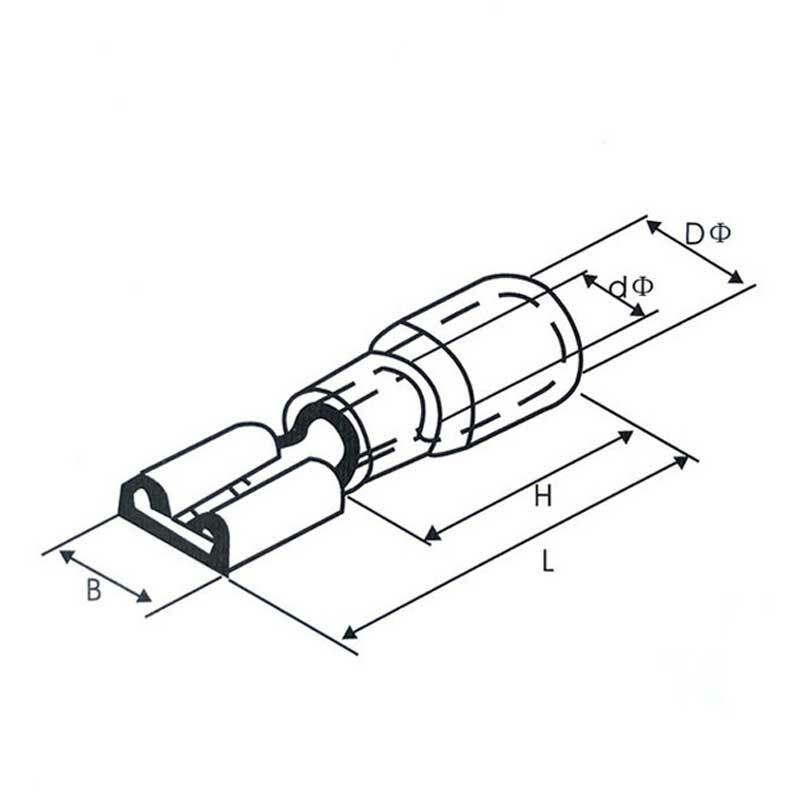 The FDD1.25-110 and FDD1.25-187 used commonly in the arcade industry for game-play buttons, joysticks, and controls.